Our team had a great day in glorious sunshine at the Evington Village Fete. Thank you to the organisers for your kind invitation to attend. 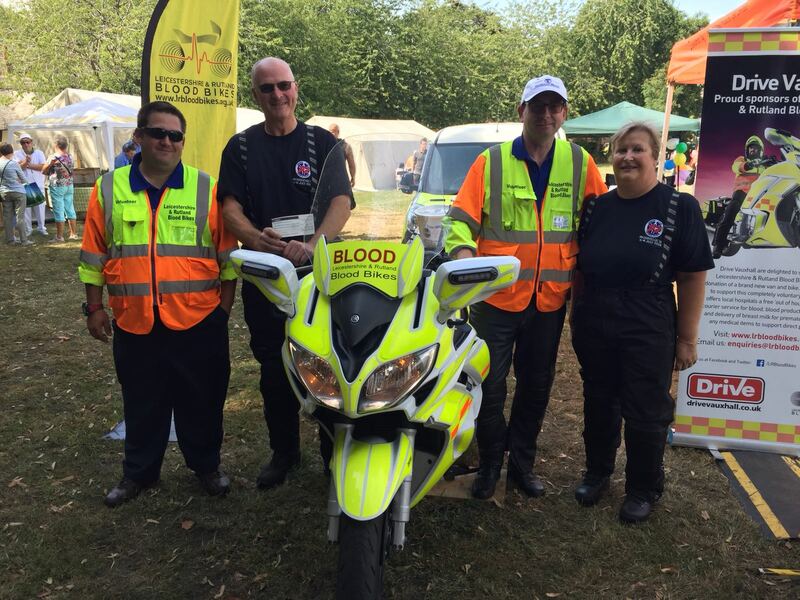 We had a lot of opportunities to chat to the crowd, raising both awareness of blood bikes and vital funds for the group. We also had a very pleasant surprise when the local FJR owners club arrived at our pitch to present us with a lovely donation raised from within their group…many thanks to you all, for your kind support!